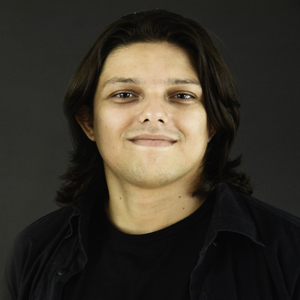 Daniel is a Brazilian actor and voice talent, working for more than over 10 years in voiceover field, he is able to give life and personality to any audio project in different niches. He can perform brazilian portuguese and english voiceover for games, cartoons, apps, elearning, corporate presentations, commercial for radio, TV and internet, videos, audiobooks. Daniel stands out for his excellent ability to interpret characters, giving them a perfect vocal selection – even if it is totally different from his own timbre – which allows performing different characters in the same project.